Certified Wine Educator Stephen Reiss, Ph.D. shares his insights garnered from decades of working with wine students of all levels. Dr. Reiss has a knack for making complicated issues such as talking about wine, easy to understand and enjoyable. Learn the simple way to actually communicate what you taste to others. 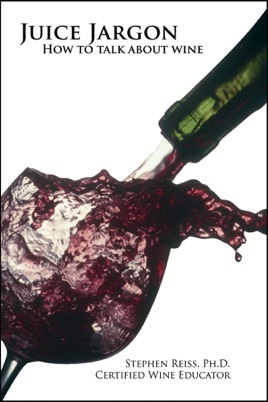 Learn why most reviews of wine add more confusion than clarity. Increase your confidence when talking about wine, with the extensive glossary of words, and their pronunciations. Enjoy the book used by wine schools around the world, now in e-book format, perfect for your iPad or iPhone.